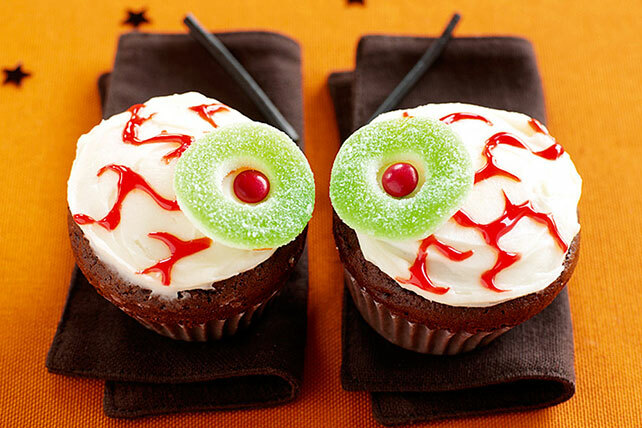 Cause a few double takes at the Halloween party with these Eyeball Cupcakes! Guests will eye these Eyeball Cupcakes and then gobble them up. Beat cream cheese, butter and vanilla in medium bowl with mixer until blended. Gradually beat in sugar. Spread onto cupcakes. Decorate with remaining ingredients to resemble "eyeballs".